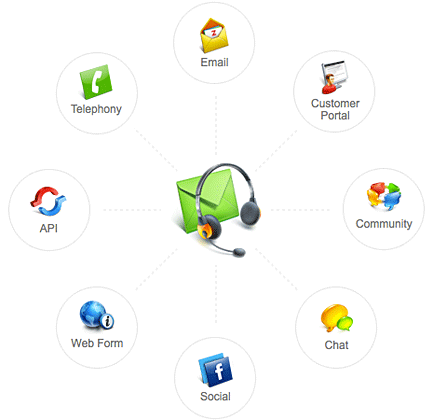 Migrating Data to Zoho CRM - Twelve/Three Marketing, Inc. When setting up a Zoho CRM system, you have two choices; manually entering all of your data or import it. Zoho has two different methods for importing Data. In this paper, we’ll explain the differences and supply a lot of tips & tricks. In order to import data into Zoho, you’ll need to gather all of your existing electronic data. This might involve exporting data from your Accounting system or prior CRM system. Maybe you’ll be aggregating your user’s Outlook address books. We’ve seen it all. Zoho can work with *.csv (comma seperated values), Excel sheets, and text files. So keep your data in that format. We prefer csv because there are limits to the size of Excel files. The number of records you can import at one time depends on your subscription plan. 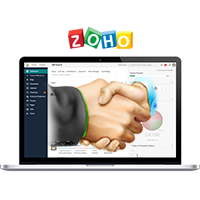 For example, the free version of Zoho CRM is limited to 1000 records per import. There is also a 25000 total record limit for all data in the free version of Zoho. Therefore, importing a large database into the free version is not advised. By contrast, Zoho CRM Enterprise can import 30,000 records at a time with no limit on the total number of records. There are a two ways to import data into Zoho CRM. Actually, three and we’ll talk about the third later. Import is simple but limits you to a single module, i.e. Contacts. It is ideal for things such as purchasing a list of leads. Migration is intended for moving all of your data across many modules. You should use this feature when moving from an old CRM system to a new one. Migration involves many modules such as Companies, the related Contacts for a company, then the related History records for that contact, etc. When migrating, you want these relationships maintained. So, Import is quick and simple. Import accepts Excel data. Migration is, by its nature, more complex. The order in which you import modules is important as well. Zoho recommends this order: Users => Campaigns => Leads => Accounts => Contacts => Potentials => Products => Cases=> Solutions => Notes => Tasks => Events => Attachments. Migration is csv file only. We are experts at data migration and have built a number of tools, SQL queries, and software programs for moving data. In order to import data into Zoho, you’ll need to gather all of your existing electronic data. This might involve exporting data from your Accounting system or prior CRM system. You can use Zoho’s API to import data programmatically. Twelve/Three often uses this method and has developed a number of tools to move from common CRM systems (Act!, GoldMine, Salesforce, or SQL Server based data. If you manually gather your electronic data, us Excel to clean it up. Look it over to get rid of duplicates. Zoho requires contact names to be split into First and Last names. If you’ve defined a field as mandatory in Zoho, it must be present in the import file. If you are importing Record Owners, use the Zoho user’s login as the owner. For example, if the existing data owner is “Joe Smith” and Joe logs into Zoho as “jsmith@spamco.com” then change your data to file to reflect the Zoho log in. You will also need to specify the “Import my organization…” option. If you choose “Import my contacts”, then you will own all of the incoming records. Pay attention to date fields if you are importing them. Zoho used to require the yyyy-MM-dd format but you can now select from a few date formats. Make sure your incoming date are uniform and in one of the supported format. Follow Zoho’s suggested sequence if you are migrating. You can’t set the owner of an Account if the Owner does not already exist as a Zoho User. That is why Zoho recommends you import (or create) Users first. Proper sequence helps. Importing attachments is nearly impossible. We only do it with our custom software tools. Zoho can do some simple duplicate checking when importing data but only within the same module. For example, Contacts are only checked by emai. If your incoming data does not have many email addresses, then duplicate checking isn’t going to catch much. Also, duplicate checking does not work across different modules. If you are importing into Leads and a lead has the same email as one of your contacts, the lead will be imported. Because of this we often write a custom import tool using Zoho Creator. This works especially well for trade show leads. The Creator tool, looks in Leads first, then Contacts and then checks the Accounts for the new record’s company. Trade show leads tend to be a mix of well-known customers, new leads, and even some competitors so you usually don’t want to throw them all into Leads. They may already exist. There is tendency to want to migrate all of your old data into your new CRM system. Please think this through. Emails from 12 years ago may have no business value. And there could be millions of them. Maybe go back only 2-3 years. Start with a clean system. If you did an import and made a mess of things, you can undo that import for up 30 days after the import. Go to Setup, Import and look at your import history. You see what records made it into Zoho, which ones did not and why. You can back the import off your system. Learning to import is no longer painful! We are experts at data migration and have built a number of tools, SQL queries, and software programs for moving data. There is a shortage of “off the shelf” migration tools because everyone’s source and target databases are often highly customized. Data Migration is something that most people do once every 5 or 10 years and it does not make sense to become an expert in something that you rarely use. Consider hiring someone who does this almost every day and has seen every CRM system. Twelve/Three partners with leading software platforms such as Act!, Zoho, GoldMine, QuoteWerks, & Microsoft to deliver the best customer support and smoothest deployment experience. 20+ years of industry expertise since 1993! © 2017 Twelve/Three Marketing, Inc.